Stella is a highly successful, forty-something San Francisco stock broker who is persuaded by her colorful New York girlfriend Delilah to take a well-deserved, first-class vacation to Jamaica. As she soaks in the beauty of the island, she encounters a strapping, young islander, Winston Shakespeare. His pursuits for her turn into a hot and steamy romance that forces Stella to take a personal inventory of her life and try to find a balance between her desire for love and companionship, and the responsibilities of mother and corporate executive. 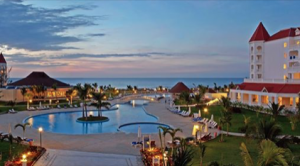 Enjoy beautiful evenings with beautiful views at Grand Bahia Principe Jamaica! After that description, you probably think this is going to be focused on work/life balance… it’s not. I want to call out the romance between a woman and a much younger man and the judgment that comes along with it. What does Stella’s relationship with young Winston have to do with your business? Everything, because wide age gaps between a couple cause people to form an opinion. Whether it’s, “You go girl!” or “He’s young enough to be your son,” the judgment is real! That’s where this ties into your business. If you are not giving 100% of yourself for fear of what others might say about your or that they may “unfriend” you, your failure is inevitable. As the CEO of your own business, whether you’re in the entertainment industry, a travel agent, a personal organizer, a network marketer, a realtor, a yoga teacher, or any other type of entrepreneur, in order to get work, clients, and make your living you have to sell yourself and/or your product… and people are going to judge you. He’s a pain in the *ss! You made a choice to pursue your passion as an entrepreneur and selling yourself/product is how you succeed. Are you letting other peoples’ opinions of you, real or not, stop you from taking the actions which enable your success: making phone calls, posting on social media, asking for the sale/job, marketing/promoting, reaching out through email, text, or SM private messages, networking, and whatever else your business requires? If you are, you’ll never reach the level of success you dream of. Focus on what you want. Have a vision board, mantra, or photo that reminds you why you want to succeed and concentrate on it for 3 minutes until your heart and mind are triggered with desire, then immediately take the action you fear. Create accountability. Have someone to answer to whose opinion matters so much that if you tell them you are going to reach out to 20 people that day or you will have your first ten pages of a script for them to read by a specific date, you will get it done. Reward yourself. Positive reinforcement can create a habit. After every 10 calls, allow yourself to eat something you consider a treat. If you hit a sales goal, buy yourself something you want but don’t need. Mel Robbins 5-Second Rule: read her book or watch her TedTalk to get a full understanding of how and why this technique works. In summary, you decide what you will or will not do in the first 5 seconds you are considering the action. 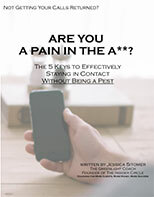 From the moment you think about what you have to do (make a phone call, approach someone at a networking event), you count down from 5 and on 1 you go for it- before you can talk yourself out of it. Rachel Hollis’ playlist: Rachel points out that some actions you’re never going to want to take. Motivation is the state that replaces the dread you feel to take action. Her fun and inspiring technique is to create your motivational playlist, a list of songs that get your heart pumping, your excitement pulsing, your desire so elevated, that you are going to act despite your fears. In the end, Stella had to do what was right for her, despite what others thought, and because of that, she was happy. If your happiness and success make other people uncomfortable, that’s their problem, not yours. Get in your groove and go for what you want… you deserve it! Ps… if you’re hesitating on this great opportunity that gives you direct access to me and is tailored to your business needs, maybe you need to shift your mindset. I have a free webinar on the 5 Mindsets for Success that you can access HERE.